Samsung has revealed that you'll soon be able to control its SmartThings smart home platform from both the Gear S3 and Gear Sport. The smart home-related announcement was made during the Korean company's CES press conference, focusing on how connecting its smartwatch platform to the home was the next step in bringing together its entire ecosystem. Users will be afforded simple controls over SmartThings, such as being able to control smart devices like thermostats, lights and security sensors all from the wrist. Samsung hasn't revealed the timeline for when we can expect the integration to land on its Gear watches, but did hint that it will come into effect at some point during the year. 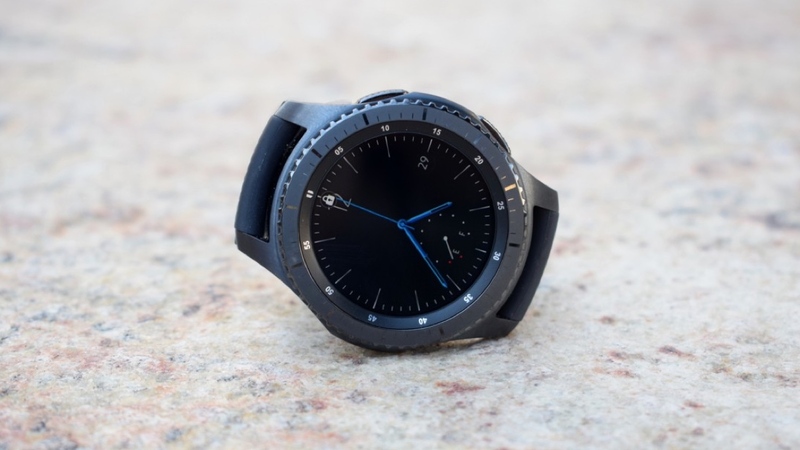 And interestingly, despite offering a way for users to control the home from the touchscreen of their Gear watch, the app seemingly won't be compatible with the company's errant smart assistant Bixby, which is still yet to be confirmed for our wrists after several struggles across Samsung's wider range. If Bixby (or any voice controls) are left out the party, this would undoubtedly place limitations on the app. After all, while navigating on your watch is great for quick use, having the option to speak to your watch is often far simpler for more extended interaction. As for Samsung's ambition to link up its own ecosystem, we'd say this is a move which puts the company right on track. SmartThings already has the inherent advantage of being more of a co-ordinator of your home - instead of a the hub experience offered through Amazon or Google - and its standing will only improve once watch integration is available later this year.